PCV Training in London, the team at JSM Driver Training offers full training and courses for all PCV training including minibus. We take all of the stress from this process, dealing with everything on your behalf. You only need to attend the course; we take care of the rest. Our certified PCV Driving Instructors will offer the best practical driver training to you. All of our instructors undergo a rigorous teacher training, which ensures they are transferring their PCV Driving skills to you in the most efficient manner. We ensure that our instructors are fully qualified by passing a teaching ability test. With this you can be confident that the PCV training offered to you will be of the highest standard aiming for a first time pass. Anyone who is at least 18 years old, has a full car licence and wants to embark on a rewarding and flexible career. 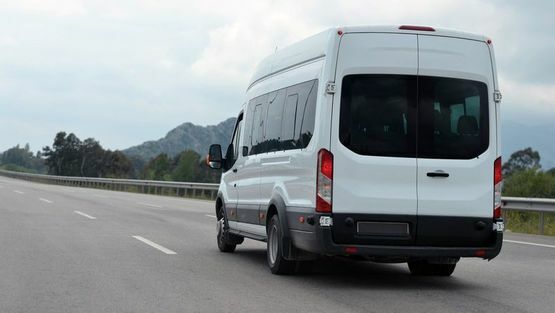 Category D1 - With the D1 Licence you can drive a minibus with no more than 16 passenger seats and a maximum length of 8 meters. You'll also be able to tow a trailer up to a maximum weight of 750kg. Category D1 + E - With this licence you can drive D1 category vehicles with a trailer over 750kg as long as the combined weight of the trailer and vehicle do not exceed 12,000kg. You will need to pass your D1 licence before you can upgrade to D1E. Category D - With a Category D licence you can drive any bus with more than 8 passenger seats and a trailer up to 750kg. Category D + E - You can tow a trailer over 750kg on a Category D vehicle. This upgrade is only available to holders of a full Category D licence. For further information on our PCV, Bus and Minibus training, call us Today in London.